Cashback is not applicable to bulk orders. Earnings from SheIn can be redeemed as vouchers or in Bank account. Now shop for Decorative Mirrors at ExclusiveLane & get up to 55% discount. Choose from Handheld Mirrors, Wall Mirrors and more. Now shop for Bathroom Accessories made from materials like Wood (Sheesham), Wood (Steam Beech), Wood (Teak), Ceramic, Brass and more at best price. ExclusiveLane Offer : Now buy Tea Lights products from categories like Hanging Tea Lights, Wall Tea Lights, Table Tea Lights, Wall Scones and more at best price. Now buy Tableware products from Trays, Coasters, Trivets, Bowls, Table Accessories, Napkin Holders and more at Best Price & save up to 60% on your purchase. Now buy Cutlery Products from categories like Spoons, Cutlery Sets, Forks and more. Now shop for Mortar & Pestle at Exclusive Lane & get up to 50% discount. Coupon code is not required. Now buy Tables from various categories like Coffee Tables, Side Tables, End & Corner Tables, Center Tables, Dining Tables, Bedside Tables and more. Now buy Seating Products from categories like Seating Chairs, Wing Chairs, Stools, and more at best price. Are you among those who keeps a lookout for something creative and exceptional for your home? Then Exclusive Lane is the answer to your home decor shopping needs. Exclusive Lane was launched in December 2011 in Noida for the love of handicraft, to bring out the elegant beauty of your home like no other with a range of products like pillow covers, wall mounts, lamps, vases, showpieces, kitchen ware, dining ware, furniture etc. 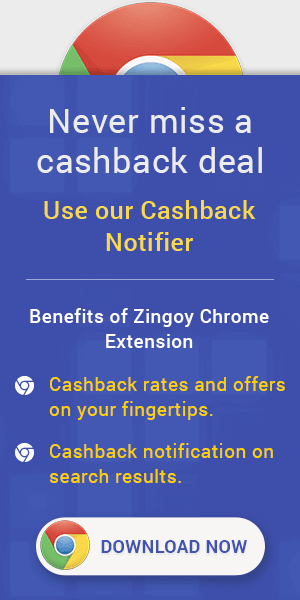 Beautify your home by making purchases from Exclusive Lane through Zingoy and earn cashback along with these incredible products. Also, spread the joy of decorating a home with your friends by sharing your personal Zingoy link of the Exclusive Lane store with them, because Zingoy gives you some more cashback on every purchase made with your link.